White healthy teeth is your secret to an attractive smile. 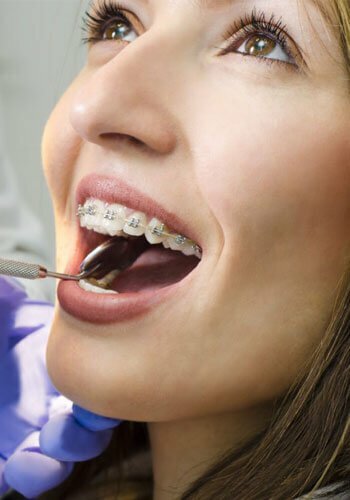 Teeth whitening is a treatment that makes the teeth appear whiter after being discolored due a lot of accumulation of different causes, acting all together.Cosmetic dentistry has developed rapidly throughout the world and it is now possible to achieve the most natural aesthetically appealing teeth whether in color or form. Therefore, teeth whitening is one of the most important beauty accessories and cosmetic methods that people look for. In Pacific Smiles Dental Centre we will seek to provide you the best, long-lasting, safe and professional teeth whitening. The factors that lead to changes in the color of natural age are many and vary in color and intensity from simple to severe. Contrary to what some believe that the change in color of teeth is only yellow, some factors may change the color of the teeth to gray or brown or dark black or even chalky white or to a mixture of several colors. It can occur during the stages of the formation of teeth or after their formation and complete emergence in the mouth, and can occur in different ages.Food and drinks are the most common factors especially coffee, tea, and soft drinks, especially if accompanied by a lack of dental care and improper oral dental hygiene methods, Smoking, the death of the dental pulp, bleeding inside the pulp chamber, and calcification within the pulp chamber. These pigments appear more intensely, aging, some types of pharmaceutical long-term mouthwashes (especially containing chlorhexidine). More Over drugs as tetracycline in children and during pregnancy leads to pigmentation ranging from yellow to brown to dark gray in both baby and permanent teeth, and congenital defects in the formation of tooth, such as lack of calcification in the enamel layer, which appear in the form of white spots or brown. Bleaching toothpaste: Whitening toothpaste removes the external pigments on the surface of the teeth instead of whitening the tooth itself. Do not heavy use bleached pastes, as the enamel layer might be thinned, so consulting your physician is very important before using. 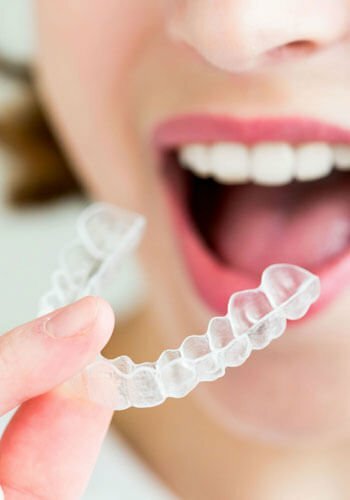 Home bleaching: In this method, the dentist prepares a special mold for the patient in the form of cellulose tray, and delivers it to the patient with appropriate bleaching materials that have lighter concentrations than what is used in the clinic and give the patient instructions for how to use. Bleaching pens, bleaching strips, and other over the counter products can help along with dental office bleaching for more whitening results or prevent teeth discoloration again. Laser (zoom) teeth whitening is one of the most popular dental procedures. It is the best and most successful methods in terms of satisfaction of the patient about the result, and it is under the supervision of the doctor. Dental office bleaching makes the patient’s feel no pain and minimal sensitivity with very excellent results. It opens the tooth enamel pores so that the peroxide can penetrate the teeth to remove the deep spots under the surface of the enamel.Laser bleaching, is considered an ideal solution for sensitive teeth, who suffer from the pain while using the traditional methods of teeth whitening in its early call. Nowadays, laser bleaching is characterized by more control of bleaching and the patient is not exposed to pain because the laser radiation is characterized by not heating the tooth and thus no sensitivity occurs. The results vary from one person to another. The degree of success of bleaching depends on the nature of the teeth, the type and degree of yellowing, the type and concentration of the solution used in bleaching, the time used, the patient’s follow-up of the dentist’s instructions.Most of the materials used in teeth whitening depend on the use of Hydrogen peroxide or Carbamide peroxide in different concentrations and usually in the form of gel or liquid placed on the surface of the teeth. Refrain from smoking, eating any colored foods or beverages and coffee for 48 hours. It is preferable to use bleached toothpaste after bleaching. Use a straw while drinking coffee or Soda’s as these are the common factors that accelerate the coloration of teeth after bleaching. Immediately brush your teeth after eating food or drinks for teeth. Teeth whitening has proven very safe, fast, and an easy process that is effective for almost everyone if used in the right way and correct percentage of chemicals. It is not recommended to whiten the teeth for people under the age of 18 for the fear of affecting the pulp leading to continuous sensitivity. Pregnant or lactating women shouldn’t go for teeth whitening.